This functional display is great if your needs are simple. It provides a little of everything: graphic space, slatwall for hooks or shelving, counter space and storage. Graphic package A is just the basics, including the header and counter graphic. 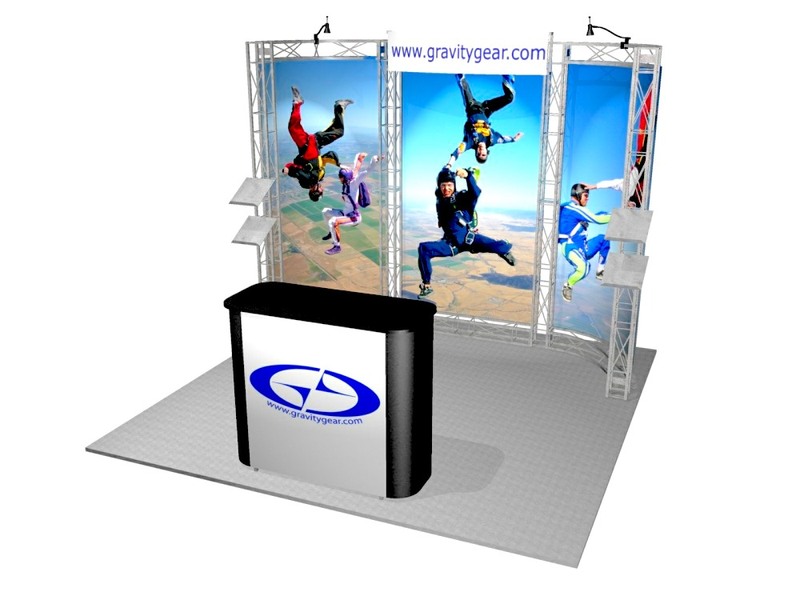 The backwall consists of 23″ wide slatwall panels and fabric panels in your choice of 34 colors. 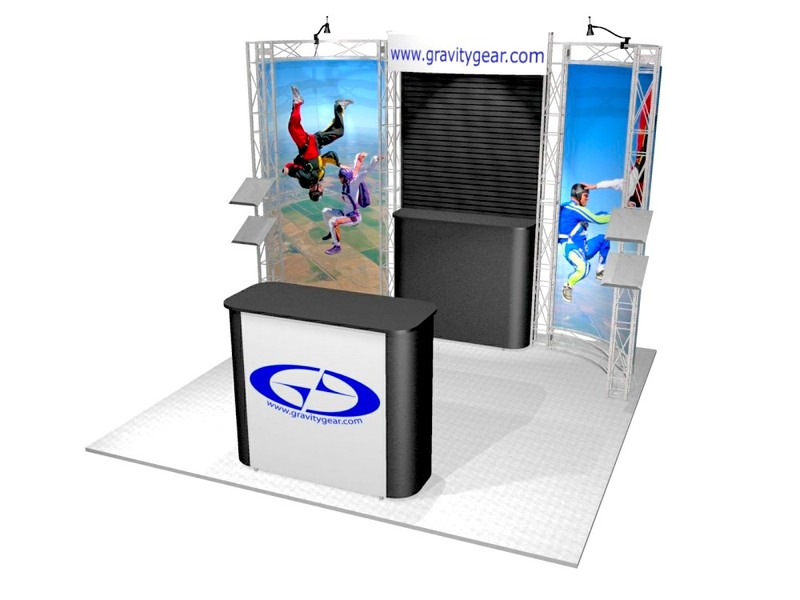 If you can use the same header & counter graphic for your next show, we’ll store them free of charge and your total rental cost will be only $2,160.00. Package C fills all the panels entirely with graphics. You lose the slatwall and back counter but still have storage inside the front counter. 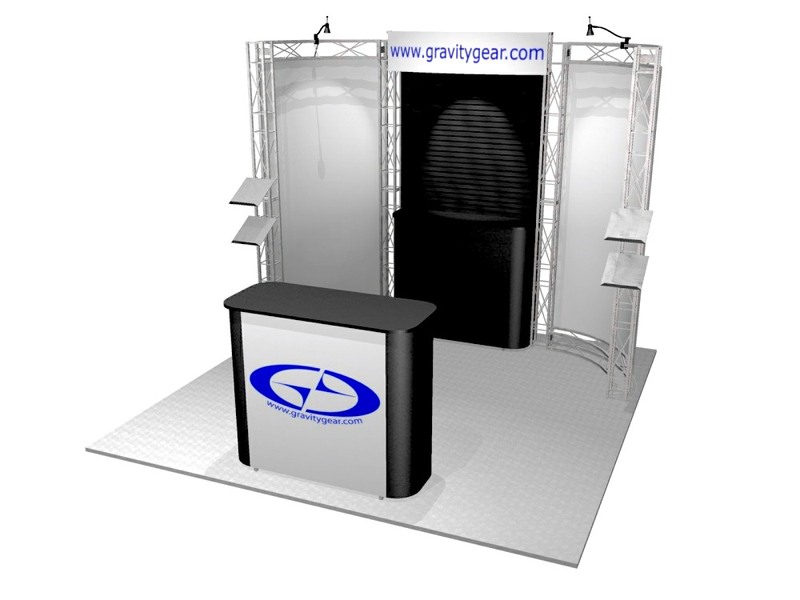 If your graphics can be used for multiple shows only pay the base price of $2,160.00 for future shows!